It’s coming … winter weather is on its way, and according to the Old Farmer’s Almanac, the Indianapolis area is preparing for a colder than normal season, with above normal snowfall … at least through February! We’ve put together three easy tasks you can accomplish now to protect your home and property from winter’s approaching chill — and even save you time and money next spring, too. Water left in hoses or pipes can freeze in the cold, which can damage or even burst the equipment, especially if they’re going to be left outdoors. Start by turning off water spigots and water shutoff valves to garden hoses and air conditioning units. Remove any hose attachments like sprinklers or spray nozzles, and disconnect hoses from water spigots or air conditioning units. Looping a hose in a circle prevents it from kinking during storage; it also helps to push any remaining water out. Prevent hoses from cracking, freezing or kinking by storing them indoors, or outdoors in the warmest location (next to the house, for instance), in a large bucket or on a hose hanger. While you’re at it … now’s a great time to remove air conditioning units from windows, vacuum the inside and put them away in storage, or cover an outdoor air conditioning unit with a tarp or air conditioner cover. Most patio furniture and accents are made to remain outdoors during the winter, yet it’s still a good idea to prepare it for the harsh weather ahead. Plan to cover all of it with a tarp until spring. Give powder-coated aluminum furniture extra protection from rust by giving it a wash, touching up any scratches with car paint and applying an automotive wax. Remove any rust from wrought iron furniture and give it a coat of exterior spray paint designed for use specifically for wrought iron. Power wash plastic furniture and dry completely. Consider giving it a coat of spray paint designed for plastic, too – and make plans to store it inside, to prevent it from becoming brittle. Brush off or vacuum cushions and umbrellas and wash off mildew and mold with soap that’s meant to be used for outdoor fabrics. Plan to store foam-stuffed cushions and the fabric part of umbrellas indoors. Teak furniture wears well in the elements, which gives it a weathered patina that many homeowners prize. However, you can maintain its original color by giving it a coat of specialty oil at least once a year. Revive other painted or stained wood furniture with a recommended acrylic paint. Store natural rattan pieces indoors and keep dry. Synthetic wicker furniture is built to remain outdoors. Store tables with tile or mosaic tops indoors. When the wind starts to blow, the extra protection from storm windows and doors can increase the energy efficiency of your home by 45%! If your storm windows and doors were prepared properly for storage in the spring, pull them out and install. Look for any damage that may have occurred in storage before hanging them. If your windows are older, consider upgrading to new energy efficient windows, which could qualify you for a tax credit. If you don’t have storm windows, hire a professional to install Low-E film directly to the glass of your windows and door windows. Consider buying a do-it-yourself window insulation kit at your local home center. Plastic applied to windows (or doors) can add extra from drafts and the still air space helps your house hold its heat. While you’re at it … get crafty with avoiding air drafts that can waste loads of energy with draft snakes. Make this remedy that dates back to the Great Depression yourself, using some scrap material sewed together and filled with sand or kitty litter. Or roll up a bath towel and place it in front of that space between the door and floor, or on top of a windowsill. Our expert staff is always on hand to help you plan your next winterizing project. From heaters and air conditioning equipment to pressure washers and everything in-between, if you have any questions about what to choose, pricing or how-tos, don’t hesitate to contact us. Stop by our store — we’re open seven days a week. This time of year, avid gardeners are looking for a reason to get outdoors and freshen up their flower beds. And they’re likely doing it using chrysanthemums — or mums for short — late-season bloomers that produce lots of long-lasting flowers in a variety of colors and shapes. Perfect for mass plantings or filling a container, gardeners can play with color schemes of mums that complement existing plantings such as ornamental grasses, beautyberry (Callicarpa), smoke tree (Cotinus), variegated sedum and conifers, while creating instant curb appeal. 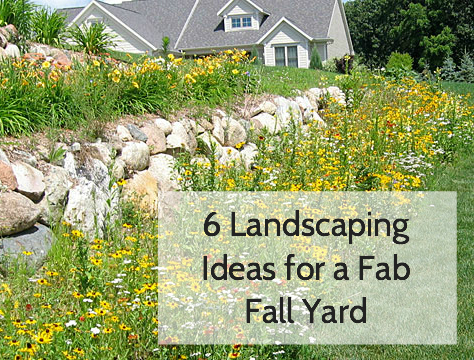 But first, you need to clean out your flower beds. You’ll need a rake, garden spade, cultivator, hand trowel, bulb planter, organic compost, peat moss or manure, mulch, wildflower seeds (optional), spring-flowering bulbs (optional) and of course, chrysanthemum plants. Step 1. Remove summer mulch and compost; deadhead flowering plants and pull up any weeds; rake up leaves and debris. Step 2. Dig up any annuals by the roots, shaking the conditioned soil back into the bed, and compost only the healthy plants. Step 3. Groom your perennials by splitting or discarding clumped areas, separating tubers, rhizomes and bulbs and add compost. Step 4. In addition to planting mums for immediate bloom, plant biennial seeds like hollyhock, foxglove, Canterbury bells and violets and bulbs like hyacinths, daffodils, tulips and lilies. Remember to mark the planting area. Step 5. Trim back foliage on perennials that like to be pruned in the fall. If you find snails and slugs, keep the cuttings out of the compost heap. Step 6. Add manure, compost or peat moss before planting. Afterwards, mulch the garden with two to three inches of fresh mulch. Cutting mums struggle to tolerate the cold and are used as short-term bedding plants to create interest. Hardy mums are, well hardy — they produce the underground stolens that help the plant survive in cold temperatures. Still, you want to plant mums in a spot that gets at least six hours of sunlight a day, in well-draining soil. Water thoroughly, never letting them wilt. Hardy mums will bloom well into the fall, until the first hard front. Prepare them for winter by mulching up to four inches around the entire plant with straw or shredded hardwood, spreading between branches. Our expert staff is always on hand to help you plan your next planting project. From rakes to wheelbarrows, seed and mulch and everything in-between, if you have any questions about what to choose, pricing or how-tos, don’t hesitate to contact us. Stop by our store — we’re open seven days a week. 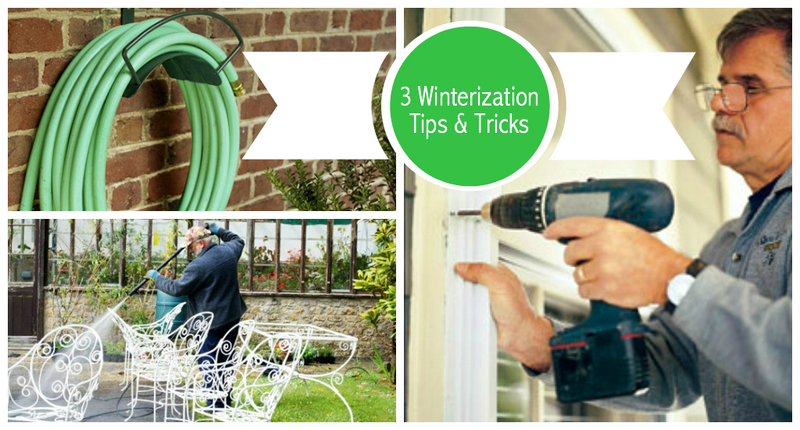 September is the perfect time to start thinking winterization in terms of your garden. As it’s the very beginning of fall, the place to begin is preservation of your perennials and cleaning up dead plants that won’t make it to springtime. We’ve been so blessed with warm weather the past few days, continuing on to the end of the month, so use it to your advantage. Put on your gardening gloves and get to work! 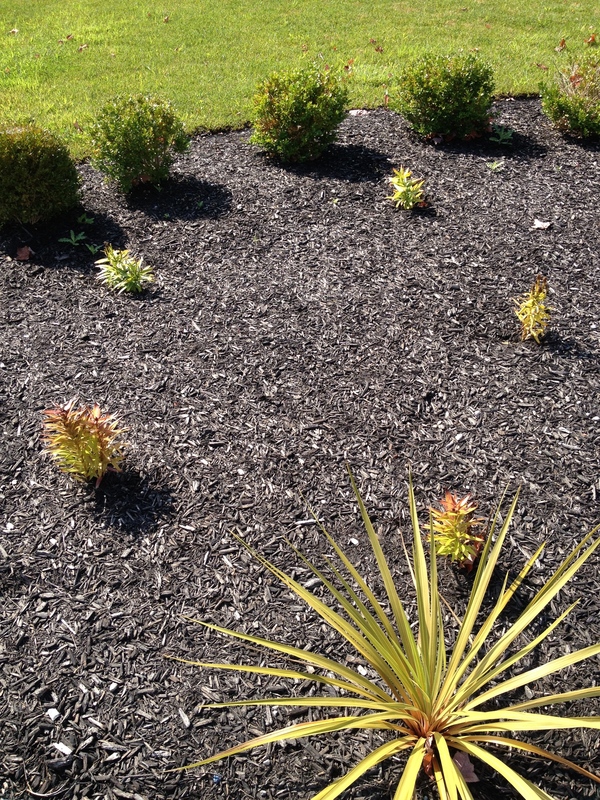 Think fall clean-up for your flowerbeds. For instance, day lilies look beautiful while they bloom, but by the end of the season they look pretty rough. So clean up the weeds around your flowers and remove annual flowers that have died and won’t grow back next year. Next, step over to your vegetable garden and survey the situation. An easy rule of thumb: let the garden grow on until the vegetables and tomatoes stop growing. At that point it’s time to pull everything out and till for next year. A small tiller will do the trick! Although some people leave ornamental grasses out for winter interest, honestly leaving them just makes a mess. And ultimately, keeping the grasses makes it harder to clean up in the spring. That said, it’s best to rope them off and cut each patch of grass at the base. We’d love to help you with your entire fall gardening and lawn care checklist, so let us know what you need! We rent everything from aerators to chippers to stump cutters. Take a look at the next batch of early fall to-do’s here and get to it. Happy gardening! Since fall landscaping is done after the growing season has essentially ended, gardeners don’t have to worry so much about weeding, since weed seed is dormant, unlike in spring when it’s just bursting to grow. And in the spring, you’ll see a whole new garden that blooms early! This article is our third on tips to freshen up your landscape for fall, adding color, texture and panache! They say that opposites attract, especially when they’re dark and light. Play up the drama of silvery ornamental grass plumes with deep-color foliage, such as that of Diablo ninebark, purple-leaf filbert, ‘Velvet Cloak’ smoke bush or ‘Black Lace’ elderberry. Give your landscape personality with found objects and artwork installations such as ironwork or statues or ornaments. Just like indoors, adding artistic accents to your landscape will reflect your personality. Not every planting in a fall landscape has to be big and bold. Planting shrubs with subtle details like richly colored berries or fruits, such as the beautyberry, which produces small clusters of amethyst-purple fruits in fall, give your garden exquisite beauty up close. Perk up dull spots in your garden with containers filled with grasses, mums, asters or flowering kale that put on a beautiful show for weeks. Take advantage of wonderful fall weather with seating area that lets you sit back and enjoy your landscape. Include a fire pit or fire bowl for warmth, or place the seating on the east side of a favorite tree to enjoy the remains of the day. 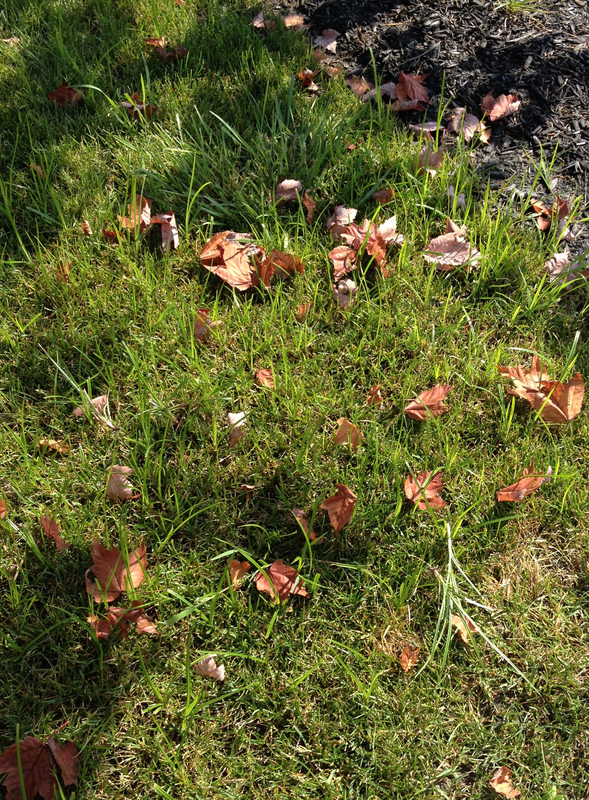 Fall is the perfect time to catch up on all your lawn maintenance to-dos, especially due to the cooler temps. Whatever that may entail, below are 10 lawn tools that encompass a wide range of outdoor tasks. We carry all 10 items in stock for rent and some for purchase as well, so please check out our online store for more details or stop in today! Happy lawn maintenance and gardening! Give your garden a “boost” by planting in the fall. 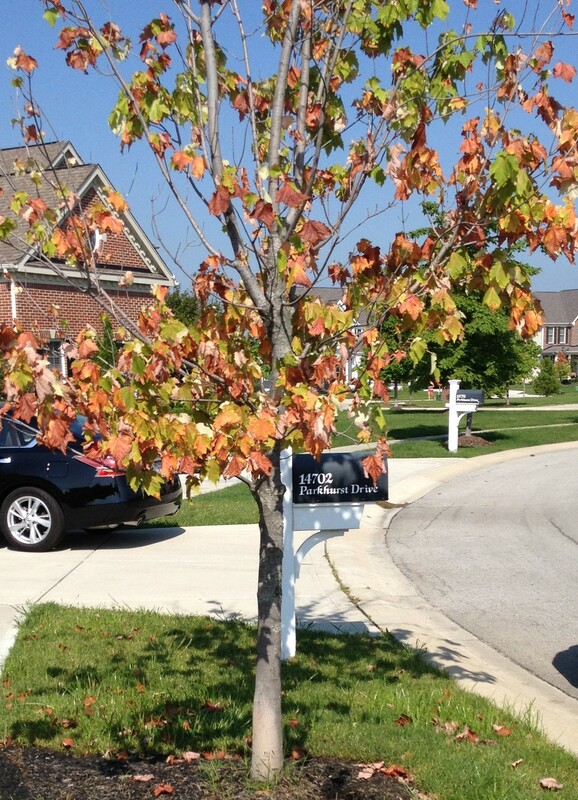 This is the second of three articles on tips to freshen up your landscape for fall, adding color, texture and panache! Do you know that planting in the fall results in earlier wildflower blooms? Just like fall-seeded lawns, fall-planted wildflower seed has a chance to establish in the ground during the winter, ready to burst into bloom about two weeks earlier than spring-planted seed. Pagoda dogwood, ninebark, viburnum, fothergilla, reblooming hydrangeas and other plants that show flowers in the spring, berries in the summer, color in the fall and have unique bare branches in the winter keep your landscape ever-changes with each season. Using a water feature in your garden can appeal to your sense of sound by filtering out street noise, enhancing your sense of sight by reflecting brilliantly colored trees for double the impact, or engaging your sense of touch with cooling trickles or smooth icicles. Include at least one unusual plant in your garden landscape, one with edible fruits or unusual-shaped leaves, wild-looking blooms or imaginative shape. It will keep guests guessing — or amused. Create planting beds with plants that grow at different heights in a number of complementary colors, for a design that feels natural. Bring attention to a unique tree by planting it among several of a different sort, allowing it to shine and adding texture to the landscape. For added interest in the fall and winter, include ornamental grasses, planted near other plants with a delicate look, such as silvery sea holly flowers and golden bluestar foliage. Sometimes the best way to learn how best to solve tough yard problems is by learning from someone else’s. Well, that’s the aim of this continuous how-to series, brought to you by Runyon Equipment Rental‘s very own Jack Runyon and our distributor Cisco Seeds. Jack’s yard definitely needs some work, so with a little help from our friends at Cisco, we identified problem areas and underlying issues in order to put a plan in place. First things first, we did an in-depth walk-through of the yard with Jack’s wife. 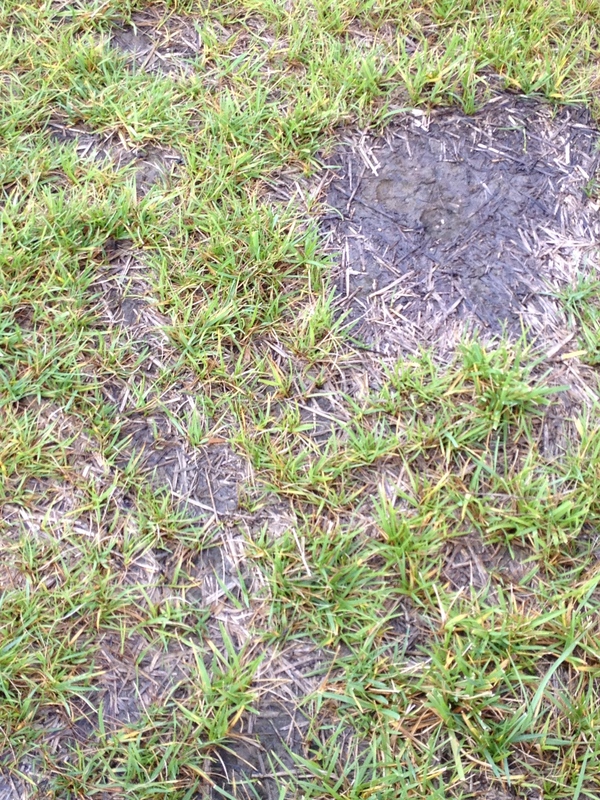 One of the major issues: swampy grass. The underlying source is pre-existing bedrock not far below the soil surface. However, a more manageable source is over-watering. These inevitably led to dying trees in the front yard due to grounding issues. One of the trees could literally be pushed over because there isn’t enough room for the roots to grow down. In regards to the over-watering situation, at the time of the evaluation, sprinklers ran three times per week for 15 min, which was way too much according to the Cisco Seed experts. Another problem area, the front yard has an abundance of yellow nutsedge. Now, normal weed killer won’t get rid of this pesky weed, so a strong solution is in order. Finally, because of the pre-existing issues, there is a lack of nitrogen in the soil, which is extremely evident where the dog pees because it turns the grass dark. After having a more in-depth conversation with Jack’s wife about the history of the house, we discovered that the Runyon household was built last in the whole sub-division, meaning that before it was there, the land was a dumping ground for all the muck pulled out of the now-pond. 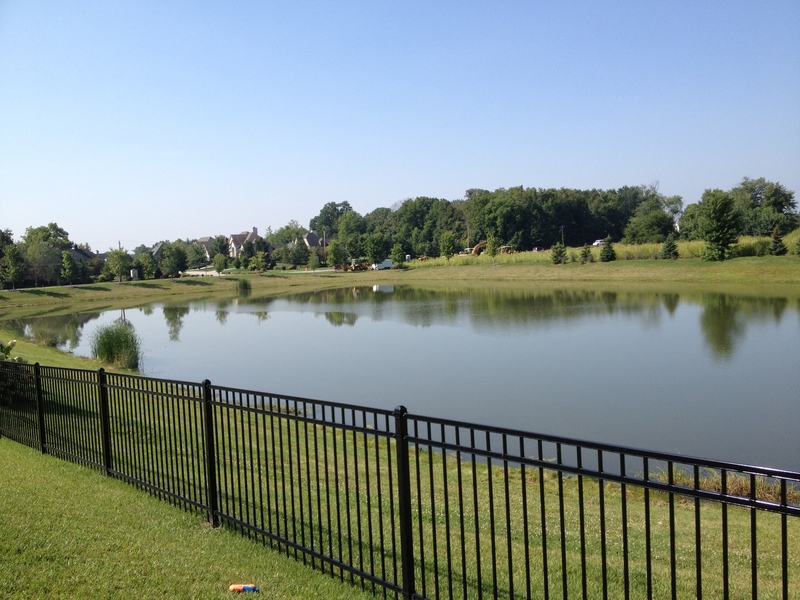 Trucks most likely drove up to this land and dumped off pond gunk in their now-yard. This accounts for a morrow smell in the soil and some of the other major issues. Also, in the back yard the soil is incredibly deep, about a foot or more down, rather than a typical 6″ before hitting clay. Not to mention, the concrete and rock underneath keep trees from taking root — they are staying just a few feet below the surface, accounting for wobbliness and instability. 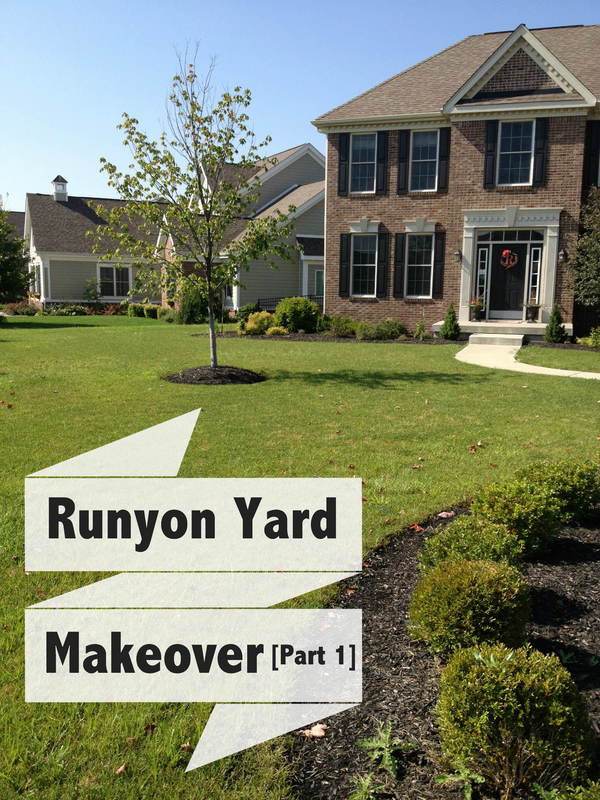 Before determining the action plan for restoring this yard, as should be the case for anyone, it’s important to consider short-term and long-term goals. Jack and his family would like to move in the next 1-2 years, so the main goal is to make the yard more presentable and “sellable.” That said, the short-term focus is on immediate, easy-to-fix issues. 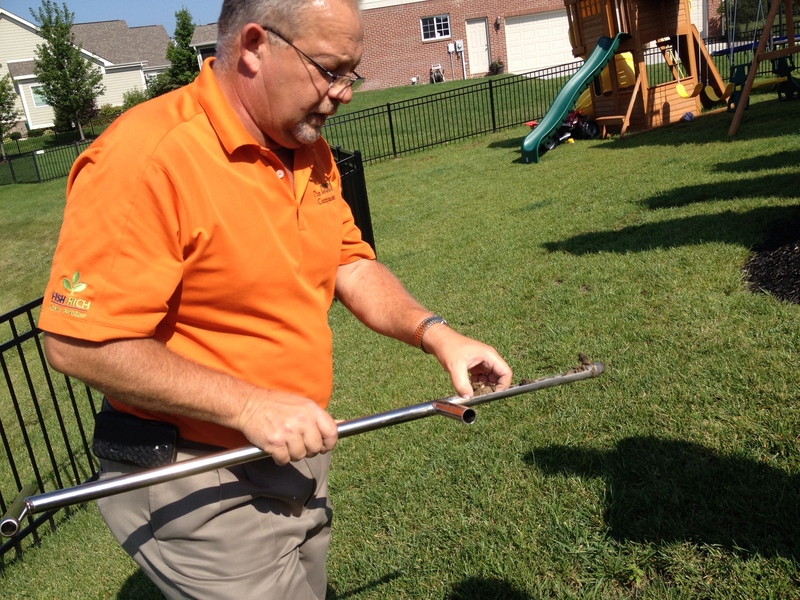 Before looking into longer-term solutions, soil samples have to be analyzed. The result from the soil samples will determine what other factors may be out of balance and how to amend these imbalances. However, a long-term solution may be re-infusing carbon and possibly another chemical that reaches deeper under the soil and breaks down the hard rock surface underneath. Although there is an incredibly specific set of issues for Jack’s lawn, there are definitely key takeaways for you. 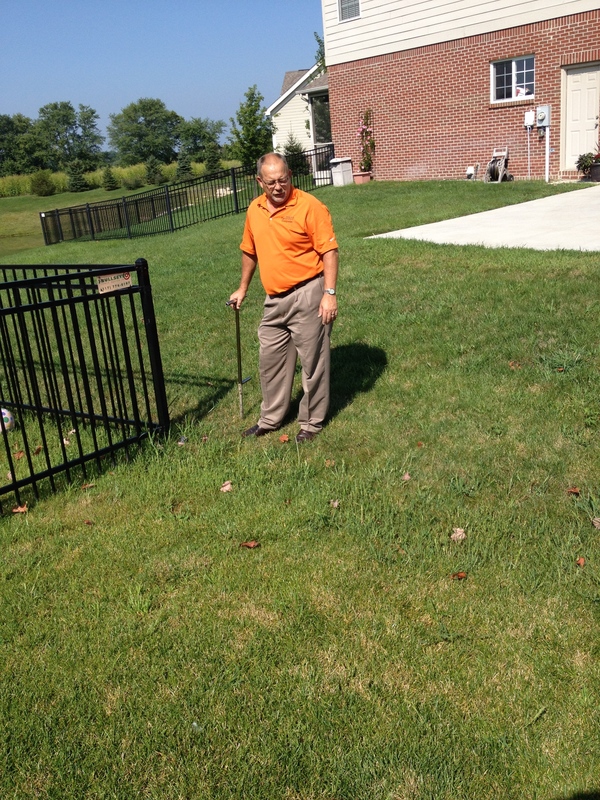 The first of which being, that if you’re currently experiencing issues with your lawn, it may be prudent to take a deeper look at what may be going on, literally and figuratively. Also, for problem grasses and soil, consider your watering schedule, weed elimination and prevention, as well as any other short-term solutions that you can identify and treat right away. 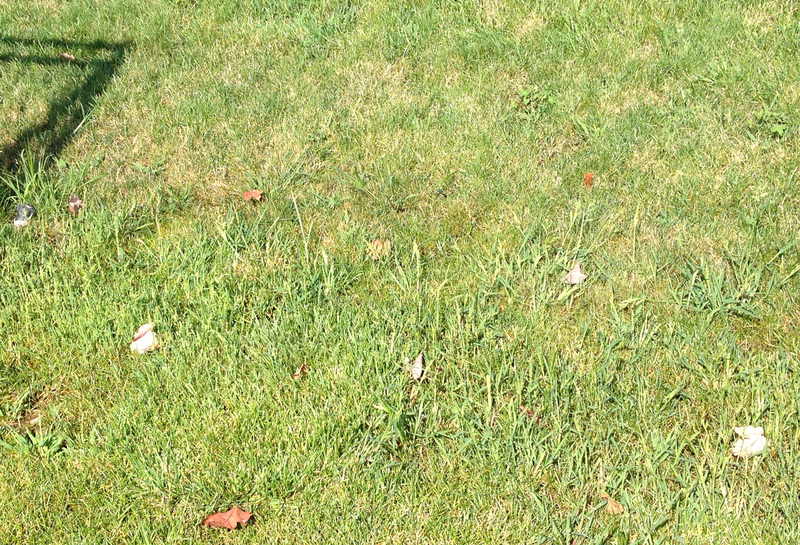 If you have questions about your lawn, the problem areas discussed in this post or lawn products, please contact us or comment below. We’ll update you in a few weeks about how the makeover is going!